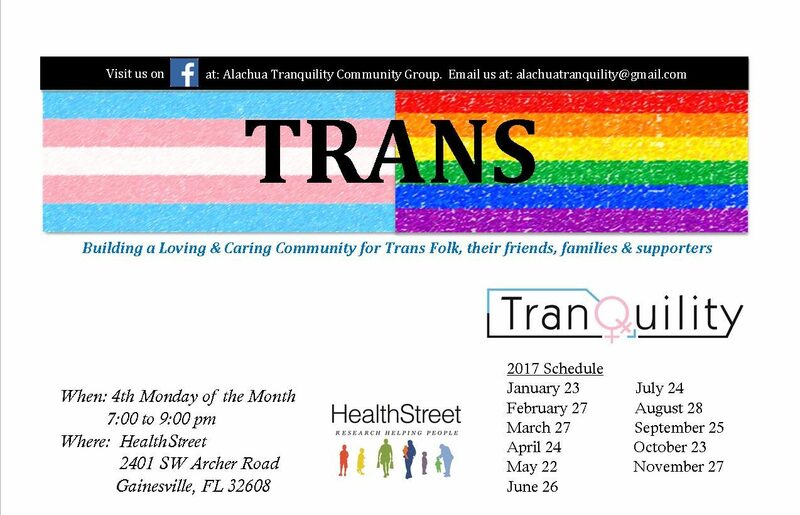 HealthStreet Hosts TranQuility Support Group the Fourth Monday of Every Month! The mission of this group is to create another space within the community to nurture transgender and non-binary individuals, as well as friends, family and allies, by educating, providing support and celebrating diversity. If you’re interested in knowing more about the group and attending, please contact: mahalaekolane@yahoo.com.